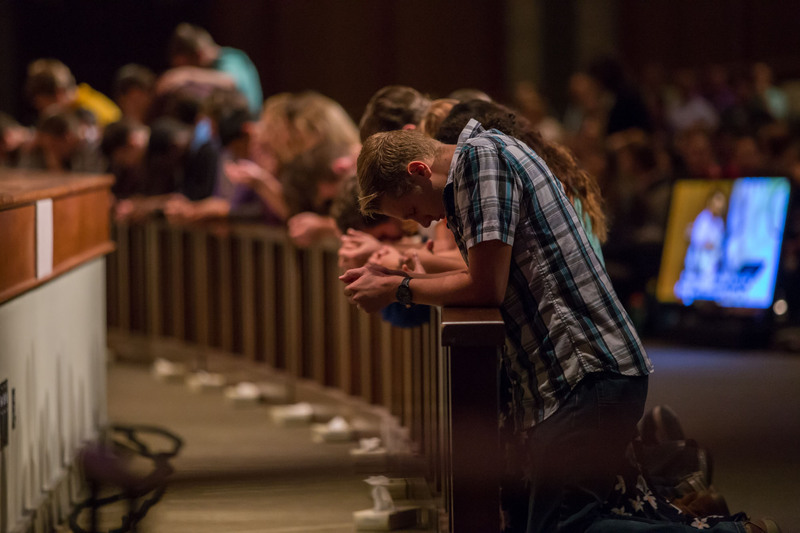 At Olivet, students have a heart for ministry. You can find our students leading worship for their peers, helping re-stock supplies at the local pregnancy center, or building the next Habitat for Humanity house. These volunteer groups are initiated and led by the Spiritual Life Ministries Council. • Best Buddies: Partnering with the local chapter of Best Buddies International, this ministry exists to build personal relationships with individuals who are physically or mentally challenged through regular visits and special events. • Compassionate Ministries: Reaches out to the physical needs of people in the community through a variety of projects, including hunger relief and clothing drives. • Habitat for Humanity: Olivet students have the opportunity to give of their time completing various construction tasks as they partner with the local chapter of Habitat in building a home for a family in the Kankakee Community. • Life Support: Raises awareness and support for the local pro-life pregnancy centers in the area. • Mission Possible: Partners with the local Pregnancy Resource Center to encourage, support and serve both women and families in Kankakee County. • S.O.S. (Save Our Streets): Seeks to serve the homeless in our surrounding community and build relationships with those in need, instilling both value and dignity. • Urban Children’s Ministry: Connects college students with children and teens from the community in a big brother/big sister style mentorship program. • Fellowship of Christian Athletes (FCA): Olivet’s huddle of FCA seeks to engage, equip and empower athletes, coaches and competitors alike to unite, inspire and change the world through the gospel. • Heart for Missions: Provides a space for students to discover and express ways they are passionate about missions. • HeArt Ministry: Welcomes artists of every kind and skill level to do life, create art and share the love of Jesus. • Prayer Warriors: Is dedicated to empower and encourage community through prayer and desire to grow deeper in a relationship with God. • Upper Room: Is a student-led gathering filled with worship through music, devotionals and community. These gatherings take place every Monday night at 9 p.m. in the Warming House.